As traditional education fails students, educators are questioning the purpose/delivery method of education. Professionals have developed learning styles to address this problem resulting in “flipped” classrooms, peer instruction and hands-on learning. However, outcomes these methods aim to produce—critical thinking, problem solving, entrepreneurship and creativity—are already available with Montessori. Drew Model School’s dual focus – a more traditional elementary-school program and a separate Montessori program – is becoming increasingly incompatible, parents told School Board members on Dec. 5. Having the two programs try to coexist under the same roof puts stresses on both, and taxes the ability of the school’s principal and administrators to meet the needs of all students, advocates said. “It’s like putting H-B Woodlawn and Washington-Lee together in one building – I don’t think that anybody would see how that could be successful. That is how seriously different the educational philosophies of these two programs are,” said Cindy Bare, the school’s PTA president. August 31, 2012, was the 142nd anniversary of Maria Montessori's birth. Google co-founders Sergey Brin and Larry Page had a Montessori education, and have explicitly credited Montessori with giving them the creativity to build an innovative company like Google. ...The drawing features some of the tools that form the basis of Montessori's educational methods, which emphasize hands-on, individualized learning within mixed age groups in a child-friendly setting. On March 21, School Board members eliminated three of four options suggested by school staff for solving Arlington’s overcrowding program. The only remaining option includes building a new choice school. We hope Arlington will move forward with a plan to create a new choice school to help alleviate overcrowding by choice, not force – and consider making it a Montessori school. More than 40 years ago Arlington started one of the first public Montessori programs in the country, and more and more Arlington families are choosing the century-old educational model. There are almost 600 APS Montessori students in 31 classrooms. Those students are as young as 3 years old and as old as 8th grade. And there are approximately another 350 students in private Montessori schools in Arlington. Parents have more options for Montessori education in Cincinnati than ever before. Its self-directed classroom curriculum has drawn lots of supporters as well as critics from both parents and educators. A 10-year-old Missouri girl may be the youngest in history to discover a new molecule after a brief introduction on molecular formation by her middle school science teacher. Clara Lazen of Kansas City was piecing together over-sized atoms from an educational model in her Border Star Montessori School classroom when she composed something her teacher had never seen before. Over a century ago, Dr. Maria Montessori discovered through scientific observations of children that they are not empty vessels to be filled -- they are intrinsically motivated doers. She saw that providing a hands-on learning environment that valued choice, concentration, collaboration, community, curiosity, and real-world application produced lifelong learners who viewed "work" as something interesting and fulfilling instead of drudgery to be avoided. Now, research in psychology and neuroscience continually validates Dr. Montessori's conclusions about children and learning, and Montessori schools are flourishing -- not just preschools but, increasingly, elementary, middle and secondary schools. So as the education reform debate thunders on, with the many sides agreeing on little beyond the fact that our schools as they are currently designed are failing our children, I can't help but wonder: Where is the voice of the Montessori movement in the American school reform conversation? Every January, many Arlington parents go school shopping – not for supplies, but to determine where to send their students for their first day at school. Arlington offers a wide array of excellent public schools and programs, including one growing one: Montessori. The Montessori method helps children master the Arlington curriculum and develop a love of learning by using hands-on materials in a student-directed multi-age classroom. Montessori-certified teachers offer differentiated instruction to help students learn at a pace that allows them to gain confidence and that fosters curiosity to learn more. State tests show they are learning. Drew Model School’s Montessori SOL scores, the County’s most diverse elementary program, mirror the county’s SOL scores as a whole. The countywide program at Drew is open to all Arlington students and busing is provided. At a time when APS is trying to tackle capacity issues, many families are already helping to solve the overcrowding challenge by choosing Montessori. To learn more about the Montessori program, you are invited to attend APS’s Montessori Information Night at Drew at 7 p.m. on Feb. 8 (snow date: Feb. 15), and to go to the Arlington Montessori Action Committee Website at www.arlingtonmontessori.org and search for “Montessori Revealed” to learn more. Most kids in a Summer of KidsPost photo: Thirty-seven students from Montessori schools in Arlington took KidsPost with them to Greenbrier State Park in Virginia for a weekend camping trip. The Montgomery County Board of Education approved its first charter school Monday night, sending a cheer through the crowded board room and signaling a breakthrough for a movement that is pushing to expand beyond struggling inner-city districts. In a 6 to 2 vote, the board authorized a new Montessori-based elementary school and officially handed over the keys to Crossway Community, a nonprofit organization, to run it. School board member Patricia O’Neill (Bethesda-Chevy Chase) said she was proud to help shepherd in a “historic moment in Montgomery County” by voting for the school. “I believe strongly that Montessori education has a proven track record, Crossway has a proven track record, and that they have dotted all their I’s and crossed all their T’s and met all the challenges that we threw to them,” O’Neill said in an interview before the vote. Joan Franks, principal of Armatage Montessori School in the Minneapolis Public Schools, and a member of the Minnesota Elementary School Principals’ Association (MESPA), is Minnesota’s 2011 National Distinguished Principal (NDP). The National Association of Elementary School Principals (NAESP) and MESPA present the prestigious award, which has corporate sponsorship from VALIC. The NDP program was established in 1984 to honor exemplary elementary and middle school principals who set the pace, character, and quality of education children receive during their early school years. The program highlights the fundamental importance of the school principal in achieving educational excellence for pre-kindergarten through eighth grade students and reinforces their continued leadership in helping children develop a lifelong love of learning. One NDP principal is chosen annually from each of the 50 states and the District of Columbia. Twenty years ago, an abandoned public school building in Montgomery County became a social services hub for a working-class neighborhood that was rapidly transforming into a major destination for newly arriving immigrants. Since then, converted classrooms have become subsidized apartments for single mothers and their children. An old gymnasium serves as a community center that neighbors book for events such as first aid training and foreclosure prevention counseling. A nonprofit organization known as Crossway Community, which oversees the center, also offers parenting classes, jobs counseling, and Montessori-based child care and preschool classes, which draw long waiting lists every year. The school would open in 2012 and eventually serve up to 188 students from preschool through third grade. It plans to hire state-certified teachers and incorporate state learning standards into the curriculum. In exchange, the county would give the school about $14,000 annually per student. It would become the first public Montessori program in Montgomery. Developed in Italy a century ago, the Montessori method is distinguished by mixed-age classrooms and student-directed learning. It also emphasizes life skills and social skills. 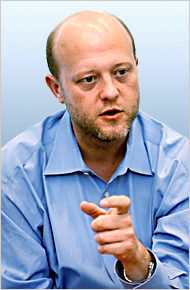 This interview with Jeremy Allaire, chairman and chief executive of Brightcove, an online video platform for Web sites, was conducted and condensed by Adam Bryant. The New York Times Company owns a small stake of less than five percent in Brightcove. Q. What were your most important leadership lessons? A. One of the most important influences early on was being educated in a Montessori setting. The Montessori ethos was very formative for me because it built into me a belief in self-direction, in independent thought, in peer collaboration, in responsibility. Those even became tenets for me in terms of my management style — a kind of laissez-faire approach to allowing people to self-direct and peer-collaborate to figure things out and get things done here. That attracts a certain kind of person. There are other people who can’t thrive in that — they need things spelled out, they need their five tasks. Another was that I took an interest in high school in extracurricular activities that were really about critical thought, analytical thought and leadership. I was on the debate team. I did model United Nations. So at a very young age I became very comfortable with speaking in a leadership capacity, conveying ideas, arguing for ideas and synthesizing information. ...The Montessori Mafia showed up in an extensive, six-year study about the way creative business executives think. Professors Jeffrey Dyer of Brigham Young University and Hal Gregersen of globe-spanning business school INSEAD surveyed over 3,000 executives and interviewed 500 people who had either started innovative companies or invented new products. The White House announced that Clark Montessori High School is one of six national finalists in the “Race to the Top High School Commencement Challenge,” a public school competition to bring the president to the ceremony. Montessori education, a discovery-based method long popular in private schools, will soon become an option for parents through the Boston public schools, part of a national trend by public systems to adopt the approach as a way of enticing middle-class families into urban schools. Steven J. Hughes, PhD, LP, ABPdN is Director of Education and Research for The TOVA Company, and assistant professor of pediatrics and neurology at the University of Minnesota Medical School. Dr. Hughes completed his PhD in clinical psychology at the University of Minnesota and his post-doctoral fellowship in pediatric neuropsychology at the University of Minnesota Medical School, where he joined the faculty of the Division of Pediatric Clinical Neurosciences in 2001. "Good at Doing Things" from Steve Hughes on Vimeo. In an effort to attract more students to public schools and keep them there, some Broward schools will be getting new magnet programs, School Board members agreed in a workshop meeting Tuesday. And, they promised, no existing magnet programs would be moved. Magnet programs are intended to lure students to underenrolled schools by offering specialized tracks in subject areas such as performing arts and aviation. The county provides free bus transportation to kids who live outside the school's neighborhood. The well-regarded IB magnets, known as early years and middle years IB programs, already exist at Wilton Manors Elementary in Fort Lauderdale and three middle schools -- Deerfield Beach, Lauderdale Lakes and Henry D. Perry in Miramar. They prepare students for the rigorous, college-level IB diploma offered in four public Broward high schools. To meet that demand, the district's plan will turn a new Hollywood elementary school known as Elementary School C into a K-8 Montessori magnet -- something Board member Jennifer Gottlieb, whose district includes the new school, has been pushing for. "This is something that's going to really pull students back to our system,'' she said. A Milwaukee Public School Board committee Tuesday approved significant changes at two schools that have suffered from low enrollment and poor academic performance, voting to close one and create a new Montessori program at the other. In two 5-0 votes, members of the Committee on Innovation/School Reform Board recommended closing Twenty Seventh Street K-8 School at the end of this school year, and phasing out the traditional K-5 program at Garden Homes Elementary School and creating a Montessori program in its place next year. Parents, students and teachers from the Montessori community in Milwaukee spoke in favor of a new program at Garden Homes. Montessori schools, which favor an educational method that emphasizes self-directed learning, have been expanding in MPS and serve about 2,100 students. It's the school field trip of a lifetime for most students. This summer, students from the Montessori High School in University Circle went to Mongolia to look for dinosaur bones. They went with paleontologists from the Cleveland Museum of Natural History to excavate in what's called the "Dragon's Tomb in the Gobi Desert." "My plan was to find a whole skeleton. We didn't find that but we did find a very nice skull," says Dr. Michael Ryan, of the Cleveland Natural History Museum. They found the skull of a Saurolophus, which was a plant-eating dinosaur that lived 70 million years ago. They also found a bone bed that had been untouched by poachers. This area has been nearly destroyed by illegal poachers, who sell dinosaur bones on the black market. "It was amazing. I always loved dinosaurs and always dreamed of finding them," said 16-year-old Maria van Heeckeren. Ten students went on the trip. It cost about $7,000 each, so the school helped raise money through fundraisers and donations. The skull is expected to be shipped to Cleveland by March, and the students will continue to research it with the Cleveland Museum of Natural History. The Montessori Foundation has been featured in an episode of The National Education Report, hosted by well known commentator, Hugh Downs, for National Public television in the United States. It will air later this year. The show briefly introduces Montessori education and the work of the Montessori Foundation.